In Canadian law, entrapment occurs where the police induce a person to commit a crime, or where they provide an opportunity to a person to commit a specific crime without having a reasonable suspicion that person is involved in that criminal activity. This was recently very helpfully outlined by Madam Justice Bruce in the Nuttall and Korody case. There, she identified that what is at issue is the integrity of the justice system. The police cannot, as they did in that case, go around creating criminals where none exist. Similarly, they cannot lie in wait for any given person to commit a criminal offence by laying out the mechanism for doing so. If they are engaging in random virtue testing, as opposed to acting on a suspicion about a person and a particular activity, then the police are engaging in conduct that amounts to entrapment. There are a number of frequent issues that arise in driving cases where clients have asked me about whether the conduct of the police rises to the level of entrapment. These are the most common ones where no entrapment exists. Many people are familiar with the bait car program: police acquire a vehicle, which they place in a location -- typically one known for high rates of vehicle theft -- and they wait to see if anyone steals it. The car is equipped with audio and video recording information, and a GPS tracker, so police can capture the evidence of the vehicle theft. To my knowledge, no one has argued that the bait car program is entrapment. But it likely would not meet the definition. Simply leaving a vehicle to be stolen, without targeting any given person, is not conduct that affects the integrity of the administration of justice. It would be one thing if the police left a car outside the residence of a particular individual, next to a hammer and a screwdriver, a couple copies of Gone in 60 Seconds on DVD, and a manual about how to hotwire a car. Of course, the real crime would be forcing someone to sit through a minute of Nicholas Cage's performance in that film, but I digress. But simply leaving a car to see if it is stolen does not create enough of an opportunity to amount to random virtues testing. A vehicle sitting at the roadside, without more, is in the nature of police investigating criminal activity. It is something innocuous that forms part of the day-to-day landscape, and would not cause most people to decide to steal it simply because it is there. The courts have drawn a distinction between investigating tips and investigating crime generally and circumstances where the police present an open invitation to commit a specific criminal offence. This is probably one of the most frequent discussions in driving and criminal law about entrapment. Many people find police roadblocks offensive, in that they believe them to be entrapment. 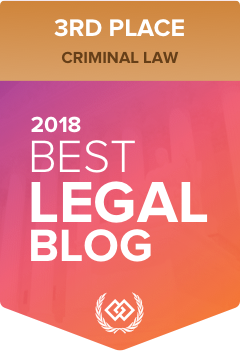 I've written a detailed discussion about the lawfulness of police traffic stops here, and there is also a discussion about avoiding DUI roadblocks on my firm's website here. Roadblocks also do not arise to the level of entrapment because they do not induce an individual to commit a crime. Rather, they merely assist police in identifying those who are already committing an offence or violating a regulatory provision related to driving. Roadblocks also do not present an opportunity to commit a crime, unless the police are contemporaneously serving drinks at the roadblock. They are simply an investigative tool and do not cast the administration of justice into disrepute when used properly by police. Entrapment is not, as is commonly misunderstood, being compelled to give evidence against yourself. That type of compulsion can lead to concerns about the voluntariness of evidence, which is a good topic for another blog post. It can also lead to issues related to the admissibility of evidence obtained in violation of the Charter of Rights and Freedoms. But those are separate issues and are less related to the doctrine of abuse of process, and more closely connected to the reliability of evidence and the fairness by which it was obtained. This is a tricky one. While ghost cars generally do not violate rules against entrapment that does not always apply. Generally speaking, ghost cars are simply a tool that police use to observe offences as they happen and to deter drivers from making poor driving choices. The theory is that if people perceive that they will be caught, they will be less likely to offend. Having marked police cruisers achieves this goal for obvious reasons. However, the knowledge that unmarked police cars are driving around the streets allows for drivers to feel the impact of marked vehicles where none our present. That said, I have seen a number of cases where police in ghost cars have engaged in conduct that is arguably entrapment. I have had several clients tell me stories of unmarked police vehicles deliberately driving too closely or aggressively in relation to my client's vehicle, in an apparent effort to make the innocent driver violate a traffic law as an evasive maneuver. For example, I have heard several stories of a particular area in Maple Ridge where unmarked police vehicles tailgate drivers on a single-lane roadway, forcing the drivers to increase their speed to excessive levels to escape the threat of being rear-ended or the perceived threat of an aggressor behind them. In this type of incident, the driving of police in the unmarked car could rise to the level of entrapment as it created a need to commit an offence to escape a legitimate threat. This is inducement as it is understood in the law of entrapment. These circumstances are, however, rare. They do not mean that ghost cars generally are contrary to laws relating to entrapment. If you've been driving in the Lower Mainland for any short period of time, you've likely become familiar with the numerous areas police set up speed traps. Typically, these are areas where the speed limit reduces from highway speed to 50 km/hr in a short distance. For example, Marine Drive or the McGill exit from Highway 1 are common speed trap locations that have this type of a feature and it is not uncommon to see police with several stopped cars as you are driving by. Many view the limited signage and the short distance over which the speed must be reduced as a form of entrapment. They also feel that it is unfair for police to lie in wait for people to commit offences at these locations. And while the argument is certainly sympathetic, the conduct does not arise to entrapment. The police are in no way involved in the driver's decision to drive a certain speed. If the area is improperly signed, there are remedies depending on the charge. It cannot be said that an opportunity to commit an offence exists simply because there is a regulation in place and people may violate that regulation. The opportunity must be something that is created by police, particular to the person and particular to the case. It is also arguable that entrapment cannot exist where the police are targeting high-risk areas because the reasonable suspicion requirement is met by virtue of those areas alone. This is not a strong argument, but when it is applied to the context of road and highway safety, it is more persuasive than in other types of cases like child-trafficking stings or dial-a-dope operations, where the offences and the consequences for them are more significant. Remember, too, that the concern is how the public views the justice system. Generally speaking, the public lacks faith in a justice system that does not look out for road and highway safety since it is something that affects everyone. I have had clients suggest to me that companies like Car2Go and EVO are engaging in entrapment on behalf of the police by making it too easy to drink and drive. There is no merit to this type of suggestion. These companies are not operated by police. State actors and their actions in relation to private citizens are what is at issue in an entrapment inquiry. There is nothing about entrapment that relates to how easy it is to commit a crime. It's easy to commit offences any time. For example, jaywalking is an offence. It's easy to commit this offence because crossing the street is generally not difficult, and usually traffic will stop for you to cross, even if you shouldn't be there. But just because another person stopped their car to allow you to cross the street does not mean you were coerced into doing it by a state actor, nor does it mean the police gave you the opportunity to do this. Similarly, just because the City of Vancouver has installed traffic lights at opposing ends of a block, does not mean that the City of Vancouver has any involvement in your decision to cross the street at its midpoint when traffic is stopped by both lights. Car sharing programs function like that. They provide cars. What you do with them is your responsibility. Finally, car sharing programs often require some sort of user agreement. If you read it (you probably didn't) you would have noticed that you were agreeing not to drive while impaired by alcohol or over the legal blood alcohol limit. I hope this blog post has helped to clear up some misconceptions about what is and is not entrapment as it pertains to driving-related police investigations. As always, I'm happy to answer any further questions about entrapment and police conduct in your driving case. You can contact me using the information on my contact page. Is it entrapment and surveillance trailing for newer officers if the first vehicle tailgates you on a 2-4 lane area and dissapears only to have a police car then pull you over. Either tag team or initial tailgate and go away? Is it entrapment if unmarked car or police car follow you with their front lights off?